It has been a while that I challenged you here at Haiku Shuukan, part of the wonderful Carpe Diem Haiku Kai family of haiku poets. Recently I changed the theme at our "homepage" Carpe Diem Haiku Kai. 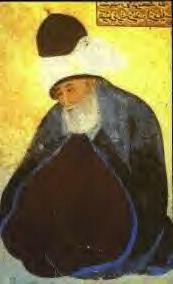 I started this month with the Quran and now we are reading the wonderful poetry by Rumi, a 13th century Persian poet and mystic. This week I love to challenge you to create a haiku or tanka inspired on a given quote. This time I have chosen a quote by Rumi. This episode is NOW OPEN for your submissions and will remain open until March 19th at noon (CET). Have fun!